Tupperware Brands (TUP) stock hit a new yearly low of $31.56 on Friday’s regular session as investors are concerned on the company’s future. The home goods manufacturer saw a decline in revenue for nearly three quarters and it is expected to continue for the rest of this year. In the past four quarters, the company posted an earnings surprise. 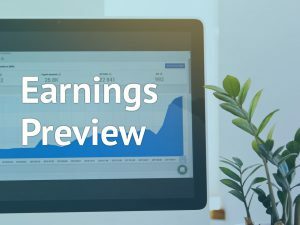 In the upcoming third-quarter, analysts on average expect Tupperware to report earnings of $0.82 per share compared to a reported profit of $1.03 per share. Sales are anticipated to fall by 11% to $480.22 million for the quarter. Most of the analysts recommend a “hold” rating on the stock with an average price target of $43.80. After four consecutive strong quarterly results, investors are looking forward to an earnings miss with analysts expecting a 20.4% year-over-year plunge. Growth estimates are likely to fall by 11.8% per annum in the current year, while it will rise by 7.5% in the next year. Traders are remaining cautious as the results were unsatisfactory. But over the next five years, the estimates are projected to rise by 12% per annum. For the recently completed second-quarter, Tupperware posted a 7% decline in sales due to the closure of Beauticontrol and the combination of the NaturCare and Tupperware businesses in Japan. Adjusted EPS declined by 3.3% due to weaker foreign currency exchange rates. The company has been depending heavily on the emerging markets as 71% of the total sales in the second quarter came from that. For the third quarter, the company had expected sales to decline by 12% to 10% and adjusted EPS of $0.80 to $0.85. For the full year 2018, Tupperware had predicted sales to fall by 7% to 6% and adjusted EPS of $4.25 to $4.35. 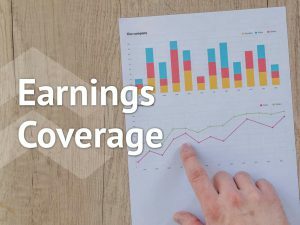 As of June 30, 2018, the company has spent more cash on the daily business activities as cash and cash equivalent has fallen by 32% to $98 million from December 30, 2017. Tupperware had borrowed more as short-term borrowings, and current portion of long-term debt had risen by 94% to $257.8 million. The balance sheet analysis showed that the company might be in poor financial health as the short-term debt is larger than its cash and cash equivalents, and it doesn’t have enough cash to pay off short-term debts. Investors are fearing that in the short-term the company would be showing negative results. Shares of Tupperware has opened lower and remain in the red territory for most of Friday. The stock has fallen by 44% for the past year and by 48% for the year-to-date.